IndieCork, Cork’s festival of independent film and music, has announced an exciting new partnership with Blacknight, Ireland's leading domain name registrar and web hosting company. The Blacknight Festival Centre at the Kino Cinema is a new development for the Festival. It will be a networking hub for IndieCork delegates and guests, and will be the venue where the public and filmmakers can mingle. IndieCork Festival, Cork’s festival of independent film and music, today announced an exciting new partnership. An innovation at this year’s festival will be the Blacknight Festival Centre. This will serve as the festival base, with a series of talks, workshops, screenings and music performances. The Blacknight Festival Centre will be based in the Kino Cinema, the original arthouse cinema in Cork. It will provide a networking space for IndieCork delegates and guests and will be the venue where public and filmmakers can mingle. Co-founded by Corkman Michele Neylon, Blacknight (blacknight.com) is Ireland’s number one domain name registrar and web hosting company. Its partnership with IndieCork this year has enabled the Festival to take a major step forward. “We are delighted that Blacknight is supporting IndieCork in such an imaginative way”, commented Úna Feely, Chairperson of IndieCork Festival. “It will allow the festival to develop our professional, public and social networks and provide a real focus to our activities during the festival week. “Such support is essential to IndieCork as we move into our 4th year. We are delighted to see headline sponsor Rising Sons Brewery joined by another 100% Irish-owned company”. “For us it’s very heartening and instills confidence in what IndieCork is doing. We look forward to opening the doors of the Blacknight Festival Centre to our filmmakers, delegates, public and volunteers, with an exciting programme of events”. For Blacknight CEO Michele Neylon, IndieCork Festival represents creativity and independence. Blacknight will also contribute to the IndieCork filmmaker workshop series at this year’s IndieCork. 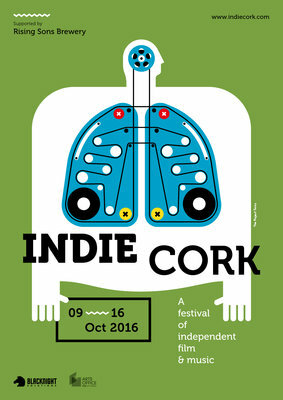 IndieCork Festival runs October 9th to 16th 2016. For further information visit www.indiecork.com.